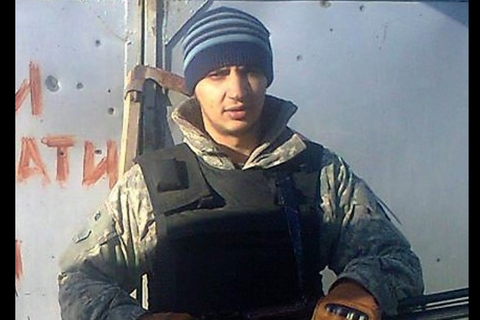 25-year-old Viktor Zelmanovych was born in Domanivka, Mykolaiv Region. Viktor Zelmanovych, a soldier of the Ukrainian Volunteer Army battalion, died on 10 December in combat outside Maryinka in the zone of antiterrorist operation. According to Domanivka district administration, Zelmanovych was born in Domanivka, Mykolayiv Region in 1992. The ATO HQ said on Monday that five Ukrainian servicemen were wounded in Donbas on 10 December. Two troops were wounded in the vicinity of Avdiyivka, another three were shell-shocked in the area of Pisky in the Donetsk sector. Ukrainian Volunteer Army is a voluntary military unit formed in December 2015 after Dmytro Yarosh and his supporters pulled out from the Right Sector movement. UVA is not a part of the Armed Forces of Ukraine.